I thought I would share my butterfly card, not only my first card for 2015 but my first card for over 12 months, finally but slowly getting back to my card making. 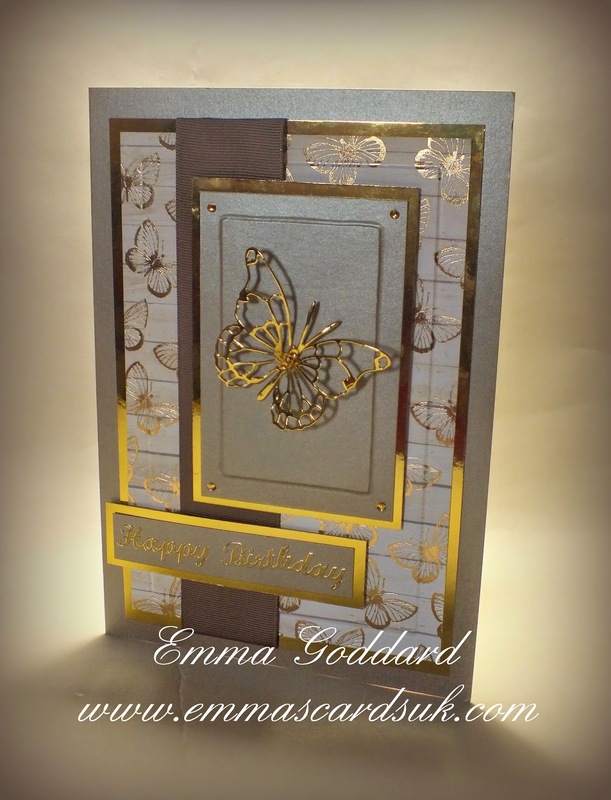 I started with something simple, matt and layered kanban butterfly backing card and gold mirror card, I used some scrap card underneath the backing card and the topper and embossed around the edge to give some dimension. The butterfly is made using a Memory Box die. This challenge is for group members only but your more than welcome to come and join us.